Tory underfunding of NHS is £3 billion higher than reported. Surprised? The report says the target for NHS trusts to end the financial year with a deficit of just under £500m is a ‘next to impossible task’ [Image: Peter Byrne/PA]. This is a nightmare that could be erased overnight if the Conservatives would only stop underfunding the National Health Service in England. Funding increases for the NHS have fallen from 3.6 per cent to 1.3 per cent this year. But the service is being asked to absorb further increases in demand and costs, meet stretching savings targets, improve A&E performance and deliver new commitments for cancer and mental health provision – and balance the books. Meanwhile, billions of pounds worth of efficiency savings have been absorbed by inflation and reductions in the tariff paid per patient, meaning they have achieved nothing. Nuffield Trust says even with a further £1.8bn in sustainability funding, providers will have to make cost savings of £3.6 billion or 4.3 per cent of operating costs in 2017-18. So shouldn’t the NHS funding increase be 5.6 per cent, if trusts are expected to break even? Or is This Writer missing something? NHS trusts in England ended last year with an overspend almost £3bn more than previously reported after temporary funding boosts and one-off savings were stripped out, according to new analysis. The Nuffield Trust found the actual overspend in 2016-17 was £3.7bn, compared with the £791m reported by NHS regulators, which was already above the £580m maximum sought by health service bosses. 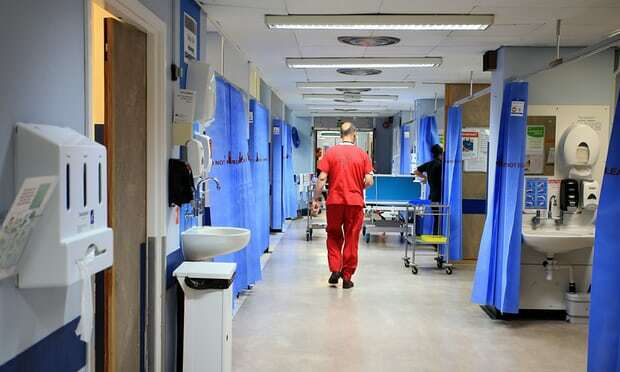 In a report published on Thursday the thinktank also says the NHS faces a “next to impossible” task in hitting the target of ending the current financial year with a deficit of just under £500m. Clearly it is not an overspend, it is an underfunding issue, and add to that the amount of monies earmarked for the NHS which go to more expensive private provision and you can see the government is doing its utmost to destroy the NHS.